and Jesus, Mary and Joseph! On behalf of the Holy Family Association and The Holy Family Monthly Home Visit I want to thank you and congratulate you for the Coros of the Holy Family that you and your parish host. 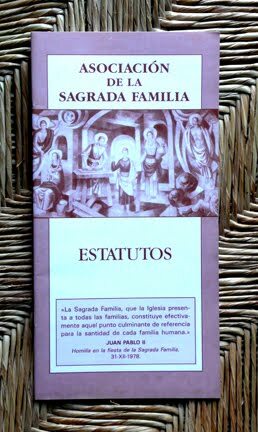 According to the Statutes of the Holy Family Association to be a member of The Holy Family Monthly Home Visit is a way to establish a communion of prayer and life with the members of the Coro, the Parish and the whole Church. Our Holy Father and bishops encourage us to deepen in the spirituality of the Holy Family of Nazareth and to pray together as a Family. The members of the Coro of the Holy Family consecrate themselves to the Holy Family of Nazareth, Jesus, Mary and Joseph. This consecration is renewed once a year by the Feast of the Holy Family. Included with this letter are the consecration forms in order to help you prepare this special feast for families of your parish. 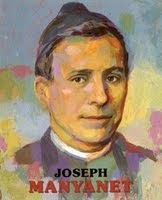 God bless you in your task as a Pastor and witness of the Gospel. If you have any comment or question related to the Holy Family Association, I’ll be glad to share with you the information available. & Santuario de Chimayo, NM.